‘The African myths say that God ‘has left’, letting humankind pursuing (…) the duty of organizing the society, according to the laws of the Universe’ Mbog Bassong, La Pensée Africaine, page 145. Ma’at is the way of thinking of the original Africa. It’s part of all the Black nations, under different names. With the spreading of the Afrocentric movement, lots of people know this word. But at the end, what is Ma’at in fact? How must we approach it? What does it advocate? How is it implemented in a daily basis? We are going to enter the foundations of the African philosophy. Ma’at with her feather on her head. Our ancestors have estimated that the African way of thinking is better represented by a woman. This article is a complement of our writings on the African Spirituality, as well as on the 42 principles of Ma’at by the ancient Egyptians. Born 300,000 years ago in the region of the Great Lakes, our ancestors have realized that they were part of a complex ranked environment. The world around them, so sophisticated and ordered, had one and only purpose: to maintain life. The rise of the sun every day after the night, the cycles of the rain which regularly come after the dry season, the plants that grow continuously, the animals and mankind which reproduce themselves, etc… all this immutable mechanism activated by an Energy, contributes to a unique purpose: to spread and to preserve life. This very beautiful world, so complex, so organized, couldn’t be other than the fruit of a reflexion, the will of a Spirit/Conscience that had never spoken to them. They have called this first Spirit Imana/Amen, which means the Hidden. 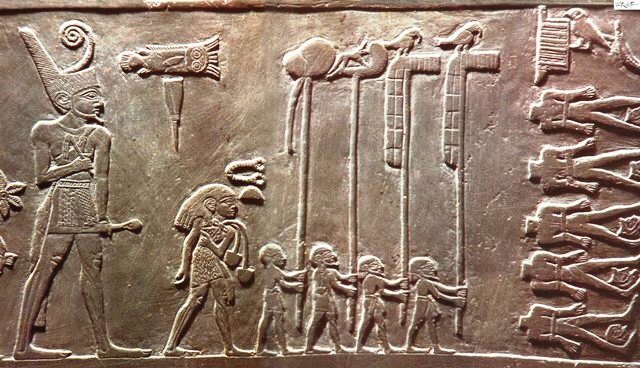 To our ancestors, the Hidden Spirit had then decided to engender the world in the beginning for one and only purpose: to create and preserve life (Ankh). Endowed with a higher degree of consciousness among other things and with the highest capacity of creation amongst the living creatures, Humans are thus the agents of God on Earth, guarantors of His-Her mission, and must assist God in the task to preserve life. Imana, masculine form; God perpetuates life in the whole universe, Humans perpetuate it on Earth. The Fang people of Gabon say ‘Nzame (God) is above, humankind is below’. If Humans have been brought to the world by Imana to perpetuate life like Him-Her, then they must follow the laws of God to do so. But how can we know the laws if God doesn’t speak? Actually He-She speaks. This speaking is creation. The whole universe, everything that exists (sky, earth, water, minerals, vegetables, mankind) represents the word of God. It is therefore necessary to study the universe and decipher its functioning codes. It is necessary to know how the first Ancestor created life, to know how to live and preserve life. This is why an Egyptian priest told the Greek savant Solon ‘As for the intellectual life, you can undoubtedly see how the law pays attention to it, in our country: From the first principles related to the universe, it has organized all the discoveries (…); from the divine speculations it has drawn the human applications, ensured the acquisition of all other knowledge which come afterwards’. These words of this ancient African man mean that first of all it has been necessary to study and understand the creation of the universe, and from the codes of that creation they have drawn the discoveries as well as the laws implemented in the daily life of the Humans. To understand the Word of God (the Universe), the Africans had to observe and use science (mathematics, astronomy, physics, biology, etc. ). This explains the reason why the Rhind papyrus – a famous Egyptian mathematics treaty written by the ancestor Yahmesu – was named by our forefathers ‘Accurate method of investigation in the nature in order to know everything that exists, every mystery, all secrets.’ Mathematics and other natural sciences enable thus to uncover all the secrets of the nature/universe, it is to say to discover the Word of God. This is the reason why Africans invented them. Water foregoes life. All life is born of water. Water contains life in a sleeping form, scattered and disordered. Hence, in the beginning was the primordial water of the Nun, that disorderly contained different nucleus/particles; these germs were to transform into life. One of these germs (Imana), awoke and got self-aware. Imana decided to create by bonding the particles of the Nun to bring the Beings to life. The whole universe is organised in accordance with the spiral model. 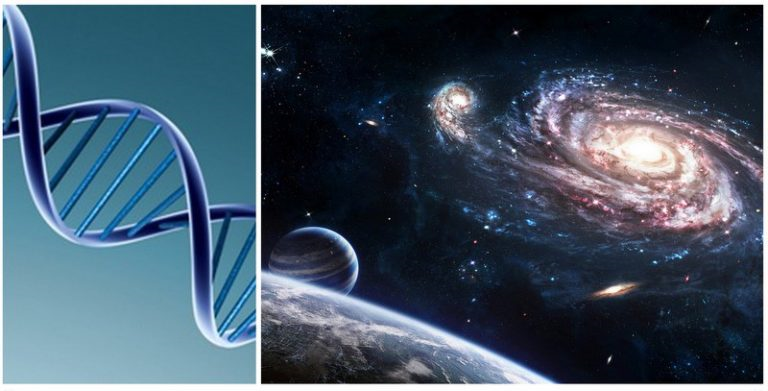 We can notice it on the DNA (the smallest element) – fundamental element of all beings – which is an organization of particles in a spiral form – to the biggest, the galaxy, which also has a spiral form. Therefore, Imana has made, with His-Her Energy, a spiral movement to assemble these particles and give them life as Beings. The whole creation, all the elements of the universe, from the infinitely small (the DNA) to the infinitely big (the galaxy), are all organised in a spiral form. In order to create life, the first Spirit had then to defeat the disorder inside the Nun by assembling in an organised and well-rounded way all the scattered germs – all that in a spiral movement. Imana replaced the original disorder by the order and the harmony. He-She then replaced the evil (Isfet) by the good (Ma’at). Life appeared because the first Ancestor did well and defeated the evil. Ma’at is therefore the set of laws with which the Creator brought out life and the order that rules the Universe. Hence, to preserve life, Humans must make Ma’at prevail on Isfet, like the Creator did. 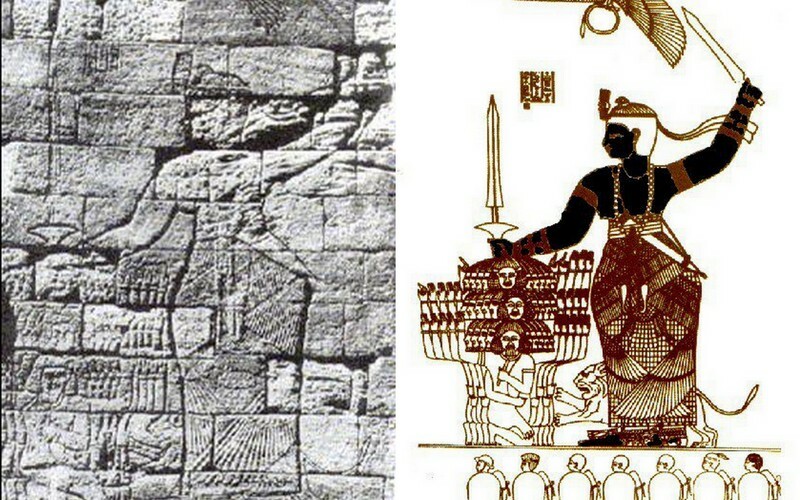 In the image the Ma’atiu, who are the servants of Ma’at; also named Ankhu m Ma’at, which means Those who live of Ma’at. Since their hearts are free of sins, these hearts are light like the feather. Those who practice Ma’at bear a feather on their head. Image: a Centre African man, a Somali man, a Fulani man. The Kamit, or authentic African, or Vitalist (animist), is therefore he who submits himself to the authority of the laws of the creation and to the order of the Universe – Ma’at – and who organises his existence in accordance with these laws, to preserve life. The Kemit fits into the Universe, living in accordance with its laws. This sentence, said throughout authentic Africa, means that the human societies (below) have been organised according to the above world (universal order). Human Beings, as individuals, are like scattered particles in the Nun, and are consequently vectors of disorder. They must therefore be assembled in an organised and well-rounded way within a family. This is why the individual does not exist in Africa. The individual can only be seen as part of a family and of a community. 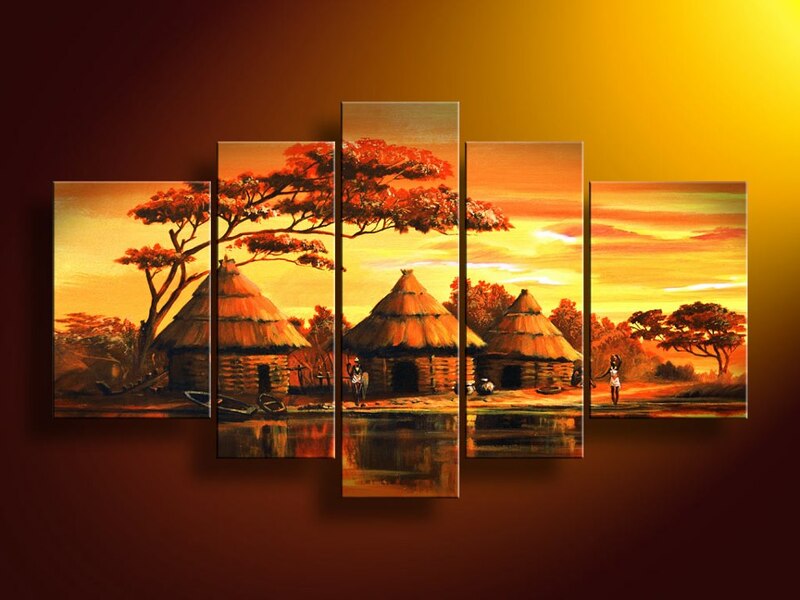 That is the reason why in the African tradition people care so much about living together. This way, in certain ethnic groups, they organise dancing aligning the members of the community in a spiral, in order to highlight their unity. 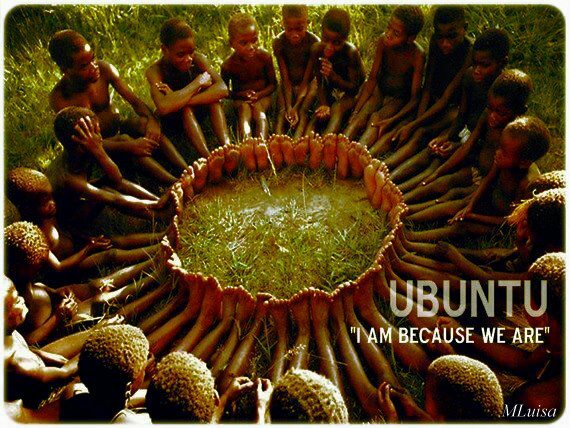 ‘I am because we are’, this is Ubuntu, the African living together. This concept was theorized according to the principles of Ma’at. The king is the Horus, son of God. He implements Ma’at which rules the country. As a high Vitalist priest, the king possesses secret knowledge about the invisible world, that enables him to ensure the continuity of life as well as the people’s material prosperity. The tribes maintain a political autonomy, their languages, and are organised in their diversity by the king. He puts them together with order and harmony within a federal system. The Horus puts the different tribes together, or the different castes, the same way God had assembled the different particles. The African model is subsequently federal. In Africa justice is mainly restorative, not punitive. When one does any harm to somebody, it disturbs the victim’s harmony and brings conflict into the community. So, the purpose of justice is to restore harmony (Ma’at) within everyone’s hearts. As related by the Belgian missionary Placide Tempels who had visited the DR Congo during the colonisation period, a man had untrusted his lamb with another man. The other man’s dog devoured that lamb. The man who had kept the lamb had to give to the other 3 lambs and 100 francs for reparation; all this without the intervention of a traditional court. This was what the beneficiary demanded to restore his harmony and his joy. Placide Tempels added that in general the ‘culprit’ would accept to pay reparation, without complaining. The purpose of justice is thus to restore Ma’at. The Cameroonian africanologist Mbog Bassong also stated that ‘the spirit of the African law (…) does not focus on punishment, but instead it focuses on the social balance, fairness, and rehabilitation of the culprits within the society’ . Humans must protect the order of the nature (Ma’at), not possessing it. They must ensure the continuity of the living species in order to carry out the Creator’s plan. By doing so, they use plants and animals in a rational and green-friendly way. If they are the main spirits on Earth, they must respect the plants, the animals, the water and the air which are also endowed with conscience. Therefore, they cannot pollute the water nor the air. This way, very often before cutting a tree or killing an animal, Africans made it understand that the act was necessary. 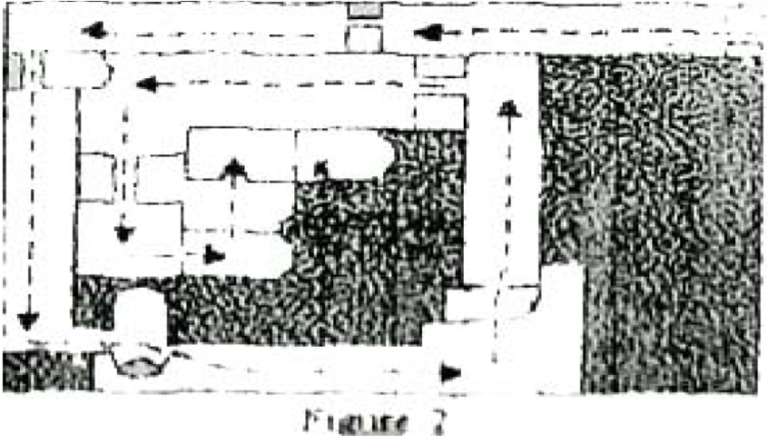 Africans have considered that the creative Spiral had made a huge noise as it was spreading within the Nun, in order to assemble the particles. That first noise is considered as the creative Verb which has created the world with order and harmony. In addition, the Creation occurs in a rhythmic way with its days and its seasons which repeat themselves on a regular basis. Hence, singing means reproducing the creative Verb. Singing orderly, harmoniously, with rhythm like Africans do, is to reproduce the order of the Universe (Ma’at). Dancing the same way is to reproduce the movements of the whole creation. Thereby, singing and dancing are put together during the celebration of Ma’at. The creation having been made by the Verb, all that exists being the word of God, each element vibrating because of the energy given by the Creator in the beginning, then each element can be vocalized. 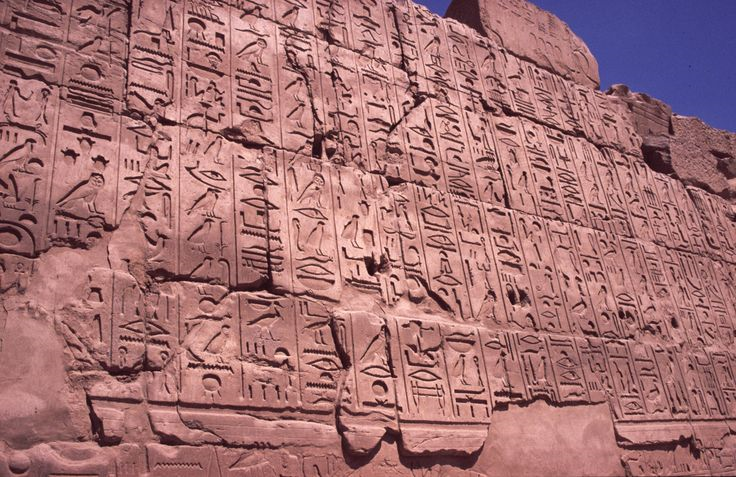 This is how the Africans between Sudan and Egypt invented writing 5,400 years ago, the first writing in history, which gave birth to almost all writing systems in the world, including the Latin script with which we write this article. In the villages, the round huts use the form of the primordial egg. Imana awoke inside the Nun in the form of an egg. 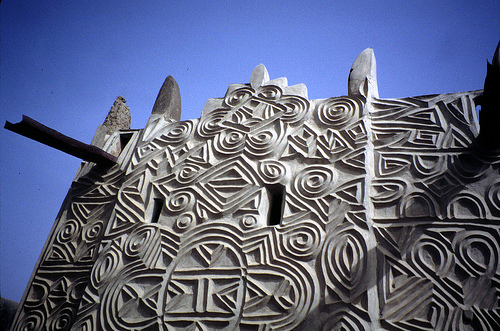 For the Ashanti people, the spiral represents the birth and the creation. 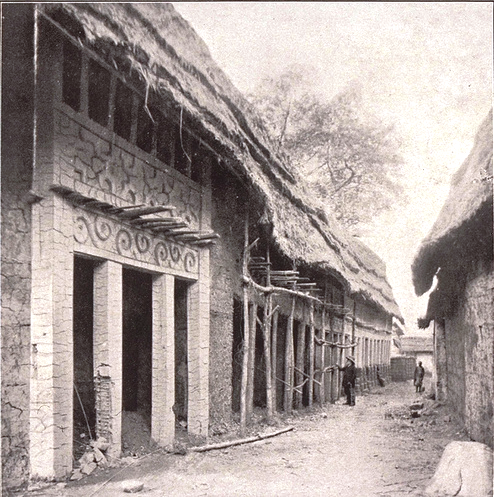 A village of the Ba-ila people of the Gambia. Here the structure is repeated from the biggest to the smallest. But the building that reflects the most the divine order is the great pyramid. 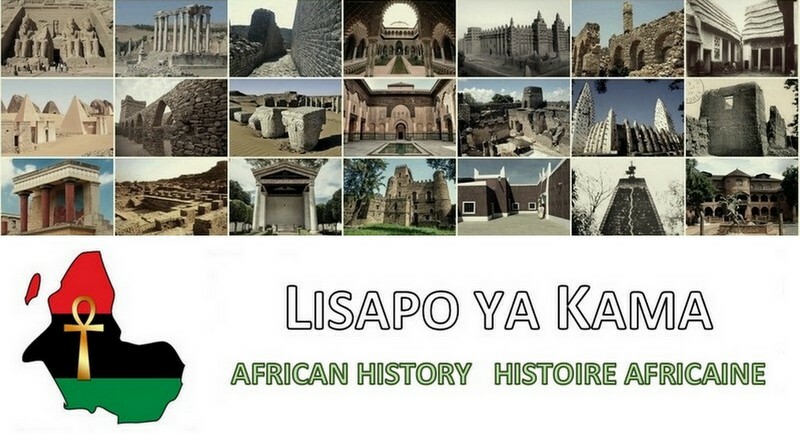 Now on the basis of what we saw before, we do understand why the Africans built it almost 6000 years ago. The great pyramid, which is the most advanced, complex and perfect monument Human beings have ever built, reproduces the circumference of the Earth at the equator level, the distance from the Earth’s centre to the poles, the speed of the light, the speed of rotation of the Earth on itself, the time of rotation of the Earth on its tilt axis, and the spiral golden number. It shows the equinoxes as well as the Lion constellation. The great pyramid reproduces Ma’at in the most perfect way ever matched until today, it is to say the order of the functioning of the Universe or God’s word. It is therefore the most divine building on earth. Must one be poor to be practising Ma’at well? Being materially rich and living comfortably is absolutely not disapproved by Ma’at. Material comfort provides a salutary development and harmony. 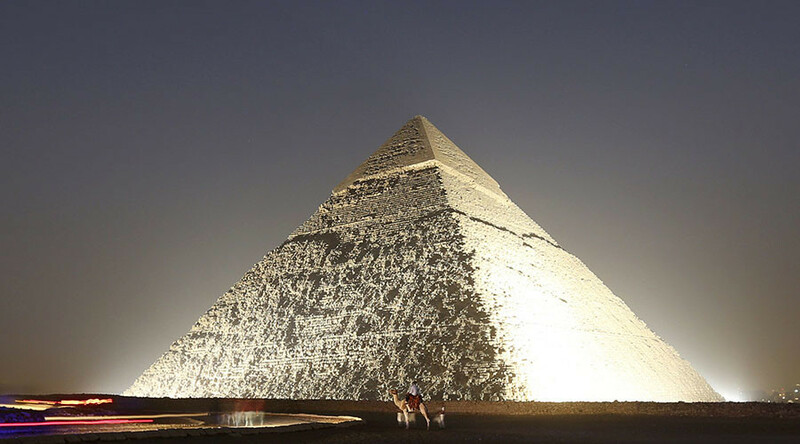 Pharaonic Egypt has thus been the world’s richest State at the time. The empire of Mali, which had essentially vitalist foundations, was also the richest State in the world. 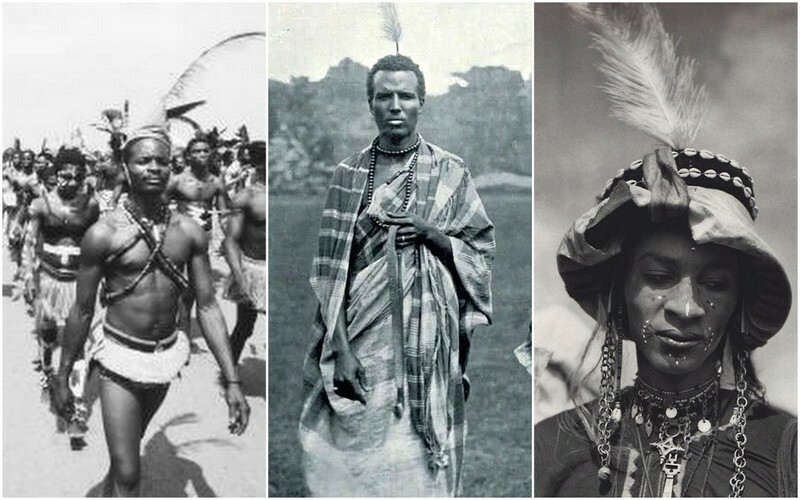 As stated by Cheikh Anta Diop, before the apocalypse of the European slave trade, Africa was a continent with an ‘extraordinary, legendary’ wealth . But an individual who acquires material wealth must share it with other people and must never use it to exploit and harm others. On the other hand, excessive wealth engenders envy, corruption and disarray. In the ancient Africa, when an individual was growing excessively rich, the authorities would take the excess of his wealth in order to avoid a potential disarray. This wealth was invested for the people, whose life standard would increase consequently. Hence, the individual would lose material wealth but would earn a social standing, for everybody would see him-her as someone who provides good, harmony and equity (Ma’at). Therefore, material wealth is good only if it enables to practice Ma’at. The reader who has followed us until now recognizes the pacifist logic of the African philosophy. Nevertheless, does Ma’at advocate to love the enemy and to turn the other cheek when he slaps? Absolutely not. Let’s not forget that to preserve life, it is necessary to practise Ma’at but also to defeat Isfet, just like the Creator did in the beginning. 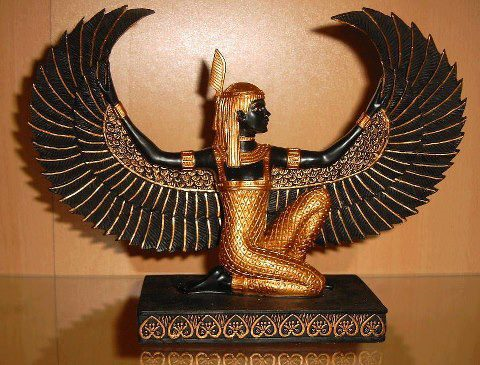 Ma’at is a principle that we must defend and protect. Isfet (the evil, disarray, unfairness, inequality, lie, conflict) must be fought. When the Isfetiu (servants of Isfet) are identified and cannot be brought back to the right path, they must be annihilated with violence if necessary. To restore order, it’s permitted to use disorder to destroy the disorder. It is allowed to make war in the name of Ma’at. 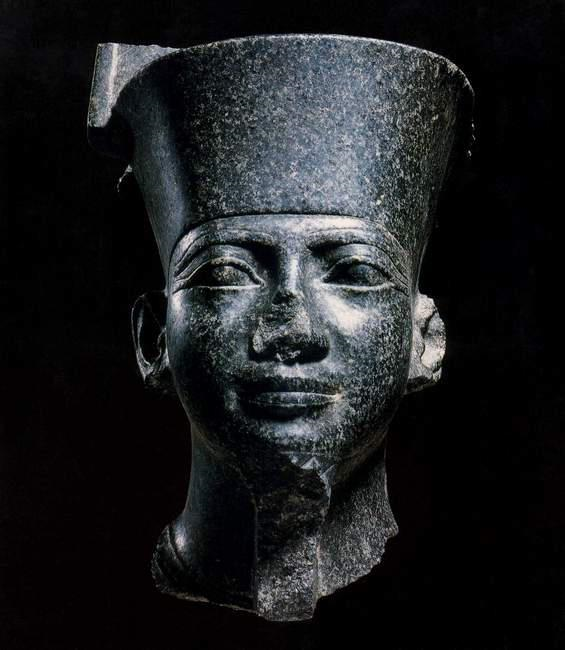 Nare Mari (Narmer), First Pharaoh of the first dynasty of the unified Egypt. He gave birth to the unified Egypt by beheading the Whites of Asia who had invaded the north of the country and had put Africans in servitude. Nare Mari has thus used disorder to defeat disorder and restore order. Kandake Amanirenas, empress of Sudan and the greatest African woman in history. She used violence to fight the Romans who wanted to invade her country. At the time when Africa has completely lost its benchmarks after centuries of European and Arab occupation, in an Africa that suffers under neocolonialism and its failing Heads of State, where a few have all and the majority has nothing, where tribal conflicts keep on destroying the populations, Ma’at offers clear solutions. The African thought is still modern and responds to the challenges of the continent today. We will never say enough that the solutions to the problems of Africa are in Africa. Africans must also understand that as the elder Children of God and civilizing people of all humanity, they have a mission to fulfil and a role to play on the global scene. Preserve life, that is the mission. It is at least a very beautiful and noble ideal. Next post: Why was black God’s color in Africa?